Our mission is to support students at every level, and to support you in providing them with the best possible education. We are committed to serving an increasingly diverse student population with different needs, while respecting the standards and values of the communities we serve. Our programs are designed by seasoned educators with over 40 years of experience - both on the instructional as well as the administrative level. HigherSchool provides intensive instruction and remediation to students from Pre Kindergarten through High School, professional development to principals and teachers, support services to students, and guidance on academic support to parents. HigherSchool has been a leading provider of Expanded Learning in schools throughout the country, helping thousands of students improve academically. 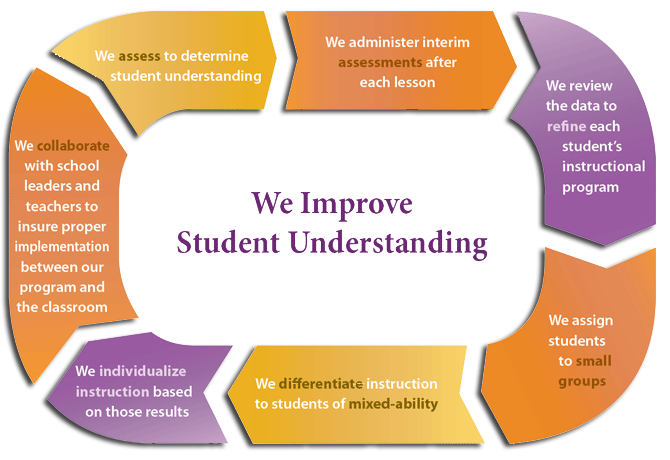 We were one of the first educational services companies to offer a Blended Learning Program, to provide Diagnostic Assessments and to incorporate Data Driven Instruction.